A couple of days ago Doug wrote about the new version of Stack, Stack v3. If you haven’t checked it out, you will want to…there are some pretty sweet new features. Well yesterday, Steve – the developer of Stack, posted a demo video of Stack v3. You can view it below. There is no ETA on when it will hit Cydia but, hopefully we will see it soon. For more info, hit up his website. The developer of Stack, Steve Troughton-Smith, has been posting lots of info about the upcoming version of Stack for 3.0. The big feature here is multiple stacks. Sounds like you’ll be able to do as many as you want. The stacks will also act like icons so you can drag them around just like normal icons. If you want to test out Stack you can do it now if your iPhone is jailbroken and running firmware 3.0. 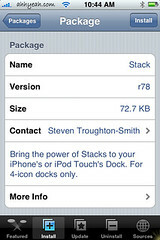 Just visit steventroughtonsmith.com/stack to download and get install info. 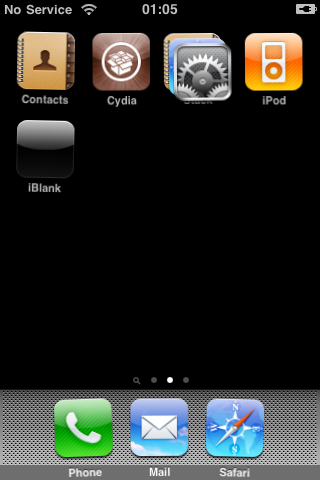 Eventually there will be a full release in Cydia when it’s finished. Earlier this week, we wrote about all the new features that version 2.2 of Stack was going to include. Cool things like; repositioning the stack on the dock by dragging it around, themeable grid, removal prompt…etc. Well, it seems that due to frustration with piracy of his App Store apps, the developer of Stack is no longer going to be developing Stack. As a matter of fact, the application will be completely removed from Cydia in the next few days (so, make sure you get it while you can). Below is a quote from Steven’s post. 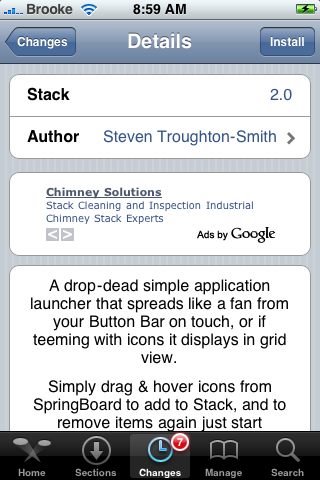 Stack 2.2 comes with some great new features. 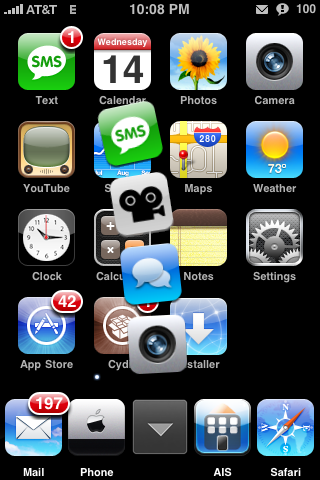 First, you can reposition the stack on the dock by dragging it around. I’m excited about this one because I’ll be able to fit 5 icons on my dock. All you do is drag the stack where you want it and tap anywhere on the main screen to confirm. Other features include themeable grid view, and removal prompt. The ETA hasn’t been released yet but make sure to follow the developer (@stroughtonsmith) for release information. Check out the video below and make sure to leave comments here or on Steve’s blog on what you think! I love this app! 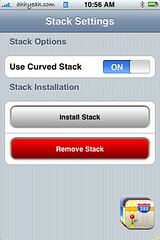 Stack brings the stack feature from Leopard to your iPhone. If you’ve never heard of Stack, it’s basically a stack of icons in your dock that when tapped, it opens a group of apps. The new features are pretty nice. You can now choose to have your stack in the middle or the bottom right. The center option works well with a 5 icon dock. Just get a blank icon and put it where your stack is. 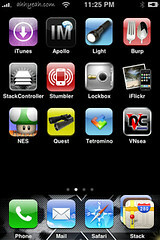 That way the other icons will line up right. Happy Monday!! It seems there have been a few apps added to Cydia over the week-end but, lets start with Stack. We have know for a little while now that the developer of Stack was getting close to a release and it seems it has finally arrived!